Yesterday, during an Iowa Learning Farms webinar, Amy Kaleita discussed current research being carried out at Iowa State University on the hydrology, water quality implications and management options of prairie potholes in Iowa farm fields. Prairie potholes are enclosed depressions with no natural drainage, until a spill point is reached, that retain water for some portion of the year. Forty-four percent of the Des Moines Lobe drains to potholes and they are a common feature in row crop fields. Potholes are a nuisance to farmers because they are usually the last places in the field to dry out and spring rains can cause ponding in the potholes, which can drown young row crops in as few as 3-5 days (for total yield loss). Despite efforts to drain potholes using subsurface drainage systems (95-99% of potholes in Iowa are drained), there has been very little research done on the effectiveness of these drainage systems for potholes. In less than ideal conditions, water can actually enter the pothole through the drainage system instead of leaving the depression. Potholes also have water quality implications due to having higher soil nitrate stocks than uplands and studies have shown an increase in dissolved reactive phosphorus concentration in potholes over the course of an inundation event. Management solutions that are being studied include conservation tillage, retirement of the pothole, planting the pothole with flood tolerant crops and improving pothole drainage. These solutions are being tested using a small watershed model, which is calibrated to reflect the monitored conditions and then changed to reflect the new management practices. Upcoming data results will show the effects of management changes on the studied potholes, some of which are being changed to grass, while others will remain in row crops. If you’re interested in learning more about the research being done at Iowa State on prairie potholes in farm fields, you can watch the full webinar here. 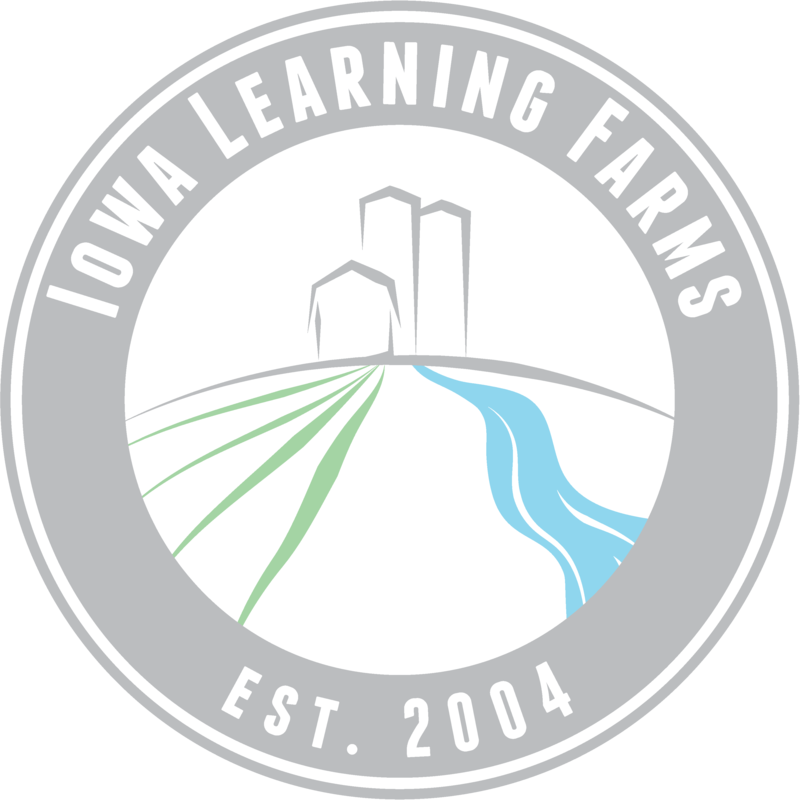 Join us live for the next Iowa Learning Farms webinar on March 20 at 12:00 pm when Dr. Mark Rasmussen (Director, Leopold Center) will discuss the topic “Are Cattle Really Wrecking the Planet?”. On Wednesday, February 20th at noon Iowa Learning Farms will host a webinar with Dr. Amy Kaleita, Professor of Agricultural & Biosystems Engineering at Iowa State University about the consequences of farming prairie potholes and management options for these common Iowa landscape features. In Iowa, many of the features known as prairie potholes are actively farmed. Because of their position in the landscape and their topographic and soils characteristics, prairie potholes flood frequently after rain events, even with artificial drainage. Kaleita will explain this flooding behavior, and the effects it has on crops and watersheds. She will also discuss options for managing these features to decrease the frequency of negative impacts. “Some research has shown that farmed prairie potholes lose money more often than they make a profit. Because they also have significant environmental impacts, conservation-minded management of these features may provide benefits at a lower cost than changes in more productive parts of the field,” said Kaleita, whose research on precision conservation focuses on how to use publicly available or low-cost data to improve conservation decision-making within production agriculture.